I LOVE them, my son says his bedroom has NEVER been more comfortable, the windows are a breeze to open/close/lock. They are an extremely heavy window - by comparison I installed another brand in a friends house a 36" x 60" picture with a slider at each end. The Comfort Window I put in my bathroom weighed more than brand X. I did a self install and it was a breeze. The hardest part was lifting the window into position. Well made and I hoop I never have to find out how good the warranty is. I would recommend them to anyone. These are extremely well made windows and they have a fair price. I have shopped hard for windows for some of my friends that wanted to get out on the "cheap" and while they paid about half of what I paid per window, I truly feel I got the better deal. Most recently we went to a big box store to pick up windows to put in a mobil home. Price was a significant factor and the windows are much better than what came in the MH originally and the owner should see significant comfort/energy improvements they are not anywhere near the quality of the Comfort Window. 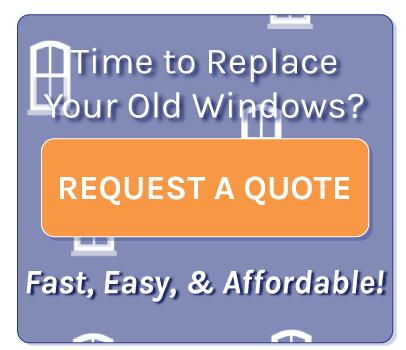 I have seen the work that the Comfort Window installers do and their quality is excellent! I just wanted to save some cash and do the work myself. I wouldn't put these windows in a chicken coop! The quality leaves much to be desired and their customer service is just as bad as the smell from a chicken coop on a hot summer day. We had a new home built and were led to believe these windows (double pane and tinted) were the next step up from contractor grade. Well, it is my opinion that may be true if you want windows built by "possibly" trained monkeys! I was present when the windows were delivered and there was little to no protective covering on the glass. There was, however, so much silicone caulking fingerprints and smears that perhaps that is what the manufacturer felt was an adequate covering. Wrong! Wrong! Wrong! I was with the home builder when they were installed and I can state that the utmost care was used during installation to avoid scratching the glass or damaging the windows. We did our part but after struggling to clean the windows, at least 45 minutes per window because of all the silicone smears, only then did it become apparent how poor their quality control and careless the manufacturing process actually was. One window had a scratch between the panes; one window had a scratch near the edge where the frame met the glass that would have been nearly impossible to have occurred anywhere other than during manufacturing. Another had a scratch at least a foot long and another had 2 smaller scratches. We also purchased 2 quarter round windows to sit beside a square window on the second floor and the corner on one was not cut at a 90 degree angle and thus had to be installed crooked! What a piece of junk!!! Because it was a special order window we could not wait another month for a replacement. Now, not even 10 months later, one of the windows is developing a break in the seal and moisture is beginning to condense inside. This is the matching opposite quarter round special order window. Another piece of junk. The representative from the company came out and spoke to the builder after we told him of the problems and we never heard back. Surprise, surprise, surprise!!! About 2 months ago I contacted the company that sold them to me and yes, you guessed it, no follow up response. I was politely told that "Because I did not buy the "FERRARI" of windows, I should not expect much." Funny they did not tell me that when I gave them my money! To whomever read this, stay away from their products. We also bought an Anderson slider at the same time from the same place and it had no silicone smears. What it did have, however, was a protective film that entirely covered the glass on both sides. No smears, no scratches, and 90 degree not 85 degree corners. Do yourself a favor. Stay far, far, away from these people. Had these windows installed in my house and I love them. Impressive quality and service that made a big difference compared to when I dealt with larger window companies in the past and was for the most part disregarded. If you want to have the intimate company relationship then this is the company to deal with, and their website felt new and wasn't clumsy feeling like the other local companies. SHOP LOCAL AND SUPPORT LOCAL!